Buy the ebook here. It’s also now available on Kindle here. I love getting various publications that inspire me to become a better cook. But there are very few that cater to the way I eat – nourishing, real food based on the research of Dr. Price. 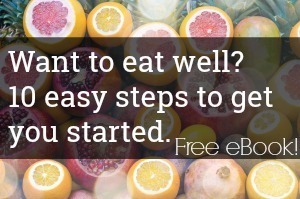 After getting requests to share more meal plans, recipes, and research based on Dr. Price’s work, I decided rather than going the traditional book route, that I’d release a quarterly ebook that would share various research, thoughts, and recipes with you on how to live a nourishing lifestyle. I am really, really excited about it! I think that this will be a fun way to share more information with you, keep my nose to the grindstone in getting very specific, nutrient dense recipes to you, and be interactive as I am welcoming any and all suggestions for what to bring to you next. In this edition, many of my recipes fulfill the request to share nutrient dense broth recipes in non-soup form. I make two pasta sauces using chicken and beef stock, a chili recipe, also utilizing beef broth, and use it to make rich buttery Lebanese rice that rivals our favorite version from our local Lebanese restaurant. And because I couldn’t resist it, I do share another favorite soup recipe, Lentil and Italian Sausage Soup that is simple to make, nutrient dense, and lovely on a warm spring day, among other recipes. I think what I find most interesting about cooking is taking “un-interesting” ingredients that aren’t used much in our American cooking, and turning them into something delicious and palatable even to picky palates. Take the pasta dish pictured above, for example. It is light, and perfect for spring or summer, it is flavorful and easily adaptable to what you have on hand. And, it also contains liver (yes, liver! You won’t even notice as it’s mixed with homemade Italian sausage), chicken broth, pastured butter, lemon juice, radishes (both roots and greens). It’s based on a dish we had at a local nice restaurant that we liked so much, we knew we had to make it at home. It’s dishes like this that turn uninteresting ingredients into gourmet, simple food that we can all enjoy. My Mexican Avocado and Egg Salad Sandwich recipe and more in this first edition.